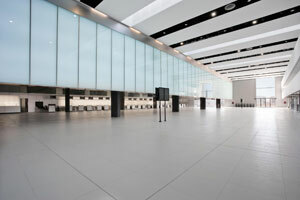 • London City (LCY)	There is currently no link to London´s business airport from southeast Spain. The UK & Ireland makes up almost 50% of traffic to/from the southeast and there are almost 100,000 expats living in the catchment area. In addition, this part of Spain is a major exporter of fruit and vegtables to the UK. • London Gatwick (LGW)	LGW is the second busiest route from the southeast (ALC, LEI, MJV) after Madrid, with almost 780,000 passengers in 2011. The UK & Ireland makes up almost 50% of traffic to/from the southeast and there are almost 100,000 expats living in the catchment area. 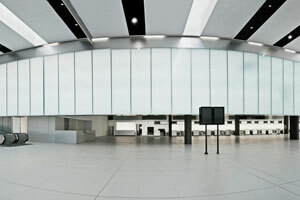 • London Luton (LTN)	Traffic with LTN reached almost 230,000 passengers in 2011. The UK & Ireland makes up almost 50% of traffic to/from the southeast and there are almost 100,000 expats living in the catchment area. • London Southend (SEN)	This route was started to ALC in S12. The UK & Ireland makes up almost 50% of traffic to/from the southeast and there are almost 100,000 expats living in the catchment area. • London Stanted (STN)	STN is the second busiest London route and has links to all 3 airports, exceeding 485,000 passengers in 2011. The UK & Ireland makes up almost 50% of traffic to/from the southeast and there are almost 100,000 expats living in the catchment area. Over 350,000 passengers flew on LPL-ALC,MJV in 2011. The UK & Ireland makes up almost 50% of traffic to/from the southeast and there are almost 100,000 expats living in the catchment area. No direct connection but over 9,000 O&D passengers in 2011. 4,000 Portguese expats live in the catchment area of RMU. Currently no direct connection to LUX, but almost 1,500 O&D pax in 2011. Almost 52,000 passengers recorded on ALC-MST in 2011. There are over 18,000 Dutch expats living in the catchment area. Over 30,000 passengers on ALC-FMM in 2011. Almost 17,000 expats living in catchment area. Over 26,000 passengers flew on ALC-RAK in 2011 but the route has been discontinued. Over 90,000 Morroccans live in the catchment area of RMU. Traffic on LBA-ALC, MJV exceeded 300,000 in 2011. The UK & Ireland makes up almost 50% of traffic to/from the southeast and there are almost 100,000 expats living in the catchment area. A seasonal route, 26,000 passengers were recorded on HAU-ALC in 2011. Over 10,000 Norwegians live in the catchment area of RMU. Currently no direct link to HAJ from southeast Spain. Almost 7,000 O&D passengers in 2011. Almost 17,000 expats living in catchment area. Almost 30,000 direct and over 40,000 O&D passengers flew between HEL and southeast Spain in 2011. Over 2,000 Finns live in the catchment area of RMU. Popular seasonal route with over 25,000 passengers recorded in S11. Currently operated only in summer, traffic on the NOC route exceeded 25,000 passengers in 2011. The UK & Ireland makes up almost 50% of traffic to/from the southeast and there are almost 100,000 expats living in the catchment area. No direct connection to the Ukraine from southeast Spain, but there are over 16,000 expats living in the catchment area of RMU. Just over 180,000 passengers were recorded on NCL-ALC,MJV in 2011. The UK & Ireland makes up almost 50% of traffic to/from the southeast and there are almost 100,000 expats living in the catchment area. 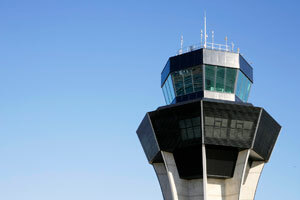 Traffic on EMA-ALC,LEI,MJV reached almost 295,000 passengers in 2011. The UK & Ireland makes up almost 50% of traffic to/from the southeast and there are almost 100,000 expats living in the catchment area. Over 40,000 passengers travelled on ALC-TFS in S11. 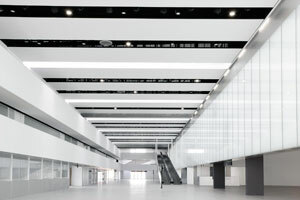 The second busiest route after OSL, over 150,000 passengers travelled between Stockholm and southeast Spain in 2011. Almost 7,000 Swedes live in the catchment area of RMU. Seasonal route, 28,000 passengers were recorded on TRD-ALC,MJV in 2011. Over 10,000 Norwegians live in the catchment area of RMU. Almost 36,000 passengers travelled between ALC-VCE/TSF in 2011 and over 22,000 O&D passengers were recorded. There are almost 5,000 Italians living in the catchment area of RMU. No direct link to Warsaw but over 3,000 O&D passengers in 2011. Over 7,000 Poles live in the catchment area of RMU. Currently no direct connection. Over 14,000 O&D pax in 2011. Almost 17,000 expats living in catchment area. A seasonal route, just over 27,000 passengers were recorded on TRD-ALC,MJV in 2011. Over 10,000 Norwegians live in the catchment area of RMU. Traffic on ALC-SOU exceeded 28,000 in S11. The UK & Ireland makes up almost 50% of traffic to/from the southeast and there are almost 100,000 expats living in the catchment area. By far the busiest Scandinavian route, eaching over 230,000 passengers to ALC and MJV in 2011. Over 10,000 Norwegians live in the catchment area of RMU. 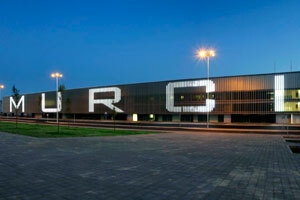 Over 97,000 passengers flew on ORN-ALC en 2011. There are almost 13,000 Algerians living in the cathcment area of RMU. Almost 165,000 passengers flew between Paris and ALC in 2011. Almost 6,000 French expats live in the catchment area of RMU. Over 33,000 passengers carried on ALC-SDR in 2011. No direct connection to Bulgaria from southeast Spain, but there are almost 25,000 expats living in the catchment area of RMU. This route was operated to MJV between 2004 and 2009 and to ALC in 2008/2009. Total traffic reached almost 65,000 in 2009. The UK & Ireland makes up almost 50% of traffic to/from the southeast and there are almost 100,000 expats living in the catchment area. Over 30,000 passengers on ALC-HAM in 2011. Almost 17,000 expats living in catchment area. Almost 49,000 passengers flew on ALC-FKB in 2011. 17,000 expats living in catchment area. Almost 34,000 passengers carried on ALC-BTS in 2011. Traffic between BOH and the southeast fell just short of 100,000 in 2011. The UK & Ireland makes up almost 50% of traffic to/from the southeast and there are almost 100,000 expats living in the catchment area. Almost 64,000 direct passengers and 72,000 O&D passengers recorded in 2011. Almost 2,000 Danes live in the catchment area of RMU. Currently operated only in summer, traffic on the ORK route exceeded 30,000 passengers in 2011. The UK & Ireland makes up almost 50% of traffic to/from the southeast and there are almost 100,000 expats living in the catchment area. 42,000 passengers recorded on ALC-BRE in 2011. Almost 17,000 expats living in catchment area. Almost 10,000 passengers flew on CLJ-ALC in 2011. There are over 80,000 Romanians living in the catchment area of RMU. Currently no direct connection but almost 2,000 O&D passengers recorded n 2011. Over 90,000 Morroccans live in the catchment area of RMU. Over 65,000 passengers flew on GSE-ALC in 2011. Almost 7,000 Swedes live in the catchment area of RMU. Over 257,000 passengers registered on BRU/CRL-ALC,LEI,MJV in 2011. 12,000 Belgians living in the catchment area. Almost 280,000 passengers flew on BRS-ALC, MJV in 2011. The UK & Ireland makes up almost 50% of traffic to/from the southeast and there are almost 100,000 expats living in the catchment area. Almost 35,000 passengers carried on BLQ-ALC in 2011. There are almost 5,000 Italians living in the catchment area of RMU. Currently no direct link to HAJ from southeast Spain. Over 2,000 O&D passengers in 2011. Almost 17,000 expats living in catchment area. Over 70,000 passengers in 2011. 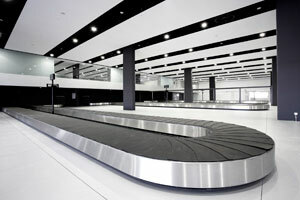 Almost 73,000 passengers travelled on ALC-SCQ in 2011. Currently only ALC-TXL operated in summer with 3-4 w/f. Almost 47,000 direct passengers and 73,000 O&D passengers in 2011. Large student population, 37,000 students enrolled in Murcia alone. Almost 17,000 expats living in catchment area. This part of Spain is a major exporter of fruit & vegetables to Germany. 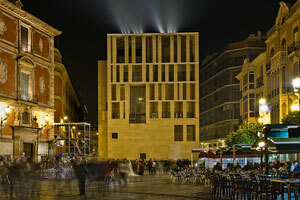 Over 125,000 passengers flew between Belfast and southeast Spain in 2011. The UK & Ireland makes up almost 50% of traffic to/from the southeast and there are almost 100,000 expats living in the catchment area. Over 90,000 passengers in 2011 and 52,000 O&D pax. Almost 17,000 expats living in catchment area. This part of Spain is a major exporter of fruit & vegetables to Germany. Over 115,000 passengers carried on EIN-ALC in 2011. There are over 18,000 Dutch expats living in the catchment area. Traffic on DUB routes reached over 215,000 passengers in 2011. The UK & Ireland makes up almost 50% of traffic to/from the southeast and there are almost 100,000 expats living in the catchment area. Currently operated only in summer, traffic on BLK-ALC exceeded 50,000 passengers in 2011. The UK & Ireland makes up almost 50% of traffic to/from the southeast and there are almost 100,000 expats living in the catchment area. Over 40,000 passengers flew on BLL-ALC in 2011. Almost 2,000 Danes live in the catchment area of RMU. Almost 18,000 passengers flew on BUC-ALC in 2011. There are over 80,000 Romanians living in the catchment area of RMU. 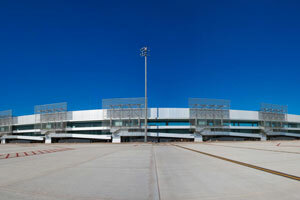 The all-new Región de Murcia International Airport – just 30 minutes to major tourist resorts such as Torrevieja, La Manga, and el Mar Menor and major new developments including several championship-standard 18-hole golf courses. No operational or technical restrictions of any kind. Significantly lower charges than other airports in the area and volume discounts unavailable elsewhere. Important marketing & PR support from private, client-focused airport operator. Approximately 30 minute drive to major tourist resorts such as Torrevieja, La Manga, el Mar Menor and less than an hour’s drive from the resorts under development in the south of the region and north of Almeria. Important holiday home destination and large number of European expatriates. Over 95,000 British nationals reside in the airport’s catchment area, guaranteeing year-round, stable traffic. 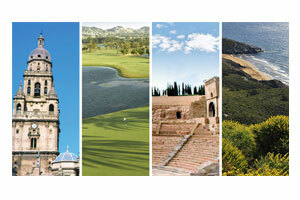 Growing golfing holiday destination with 21 golf courses in the region and warm temperatures year-round. 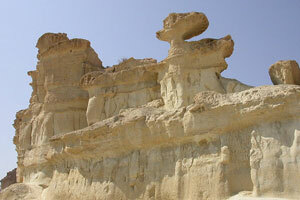 ''Las Gredas'' – the giant mushroom-shaped monoliths carved out of sandstone by wind and rain – the stunning natural phenomenon at Bolnuevo beach are just some of the region's exceptional natural beauty. Airport charges are considerably lower than existing airports in the area and volume-based discounts are also applied. As one of the first privately managed Spanish airports outside the Aena network, Región de Murcia International Airport endeavours to develop close working relationships with airlines, based on openness, collaboration, trust and mutual respect. Just as the airport itself has been designed with airlines in mind, the pricing plan aims to facilitate their growth and operational efficiency, while at the same time helping the airport meet its objectives. Transparent, impartial and simple, it offers a general per departing passenger charge considerably lower than other airports in the vicinity, as well as additional discounts based on passenger volumes, not available in comparable airports. Market research: demand analysis, traffic forecasts etc. Marketing support: co-marketing, promotional activities, PR support, exposure in airport media etc. Airport user profile: The catchment area includes the entire Región de Murcia, the southern coast of the province of Alicante, the northern coast of Almeria and part of the province of Albacete. 60 min catchment area: 2.1 million pop. 120 min catchment area: 3.8 million pop. Región de Murcia is one of Europe's largest producers of fruit and vegetables, soon to be additionally served by the new airport's 2,000 m2 cargo terminal. 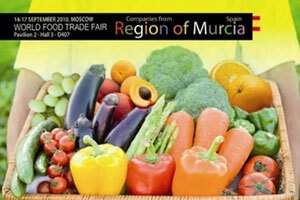 Región de Murcia is one of Europe’s largest producers of fruit and vegetables, with agriculture (including livestock and fisheries) representing almost 5% of GDP. Currently, most of this produce is distributed by road and by air through Alicante Airport. Región de Murcia International airport has a cargo terminal of almost 2,000 m2, which together with the absence of technical and operational restrictions, offers an important opportunity to develop an air freight hub in the province. 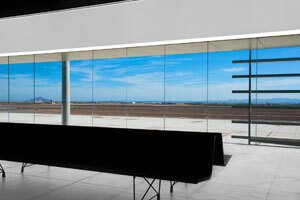 Región de Murcia International Airport is strategically located 25km from the city of Murcia, the capital of the Region, and 32km from Cartagena, the second largest city. 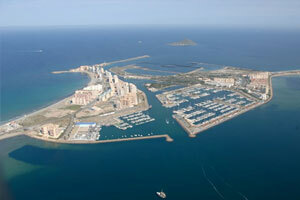 Thanks to the airport’s direct access to the A-30 motorway, the resorts of Torrevieja, La Manga and the Mar Menor, can all be reached in approximately 30 minutes, while the city of Alicante is an hour’s drive to the north and the resorts of Vera and Mójacar in Almeria are an hour to the south. Región de Murcia itself boasts a 250km coastline, an average annual temperature of 18.4°C and enjoys 315 days of sunshine a year, making it a year-round haven for golf and watersports enthusiasts, not to mention sun seekers. For this reason, the province has become an important holiday home destination in recent years. In fact, there are some 95,000 British expatriates living in the airport’s catchment area. Nine boarding gates, all permitting direct access to aircraft on foot, without air-bridges or buses. Use of air-bridges optional at two gates. Airport charges: Región de Murcia International Airport offers significantly lower charges than other airports in the area as well as important discounts based on passenger volumes, unavailable elsewhere. Please contact us for further information.